§1. Two four-horse chariots are reconstructed on the West pediment of the Temple of Apollo Daphnephorus in Eretria, which represented the abduction of the Amazon Antiope by Theseus. Theseus was apparently depicted at the moment of stepping onto a chariot’s platform while holding Antiope in his arms (fig. 1). Figure 1. Theseus and Antiope, West pediment of the Temple of Apollo Daphnephoros at Eretria, Museum of Eretria. Image via Wikimedia Commons. The date of the late Archaic temple is disputed, but the choice of Theseus for the pediment of the Eretrian temple is so remarkable that it has been proposed that there was a direct connection between the temple’s erection and the Athenian victory over Chalcis in 506 BCE. It seems that Eretria adopted a democratic constitution at the very end of the sixth century BCE. I will come back presently to Eretria’s relations with Athens in that period; for now, I note the coincidence of the appearance of four-horse chariots on the temple’s pediment as they disappeared from the battles of the Lelantine plain. §2. The hairstyle of the beautiful statue of Theseus from the pediment (fig. 2) is also significant: Theseus’ hair is cut short in front (represented by several rows of spirals), and it is twirled in a bun at the back of his head. Figure 2. 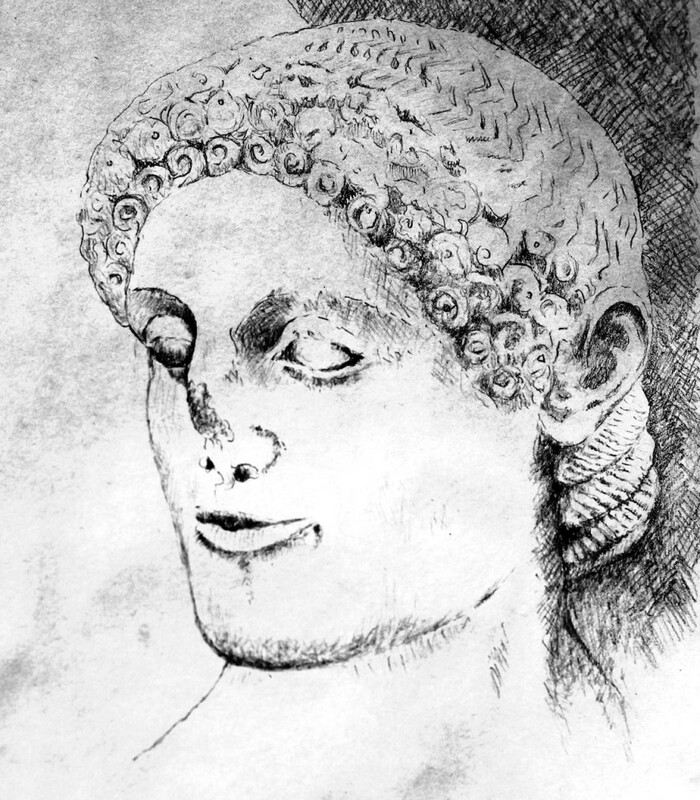 Head of Theseus from the West pediment of the Temple of Apollo Daphnephoros at Eretria, Museum of Eretria. Drawing by Natasha Bershadsky. This hairstyle coincides with the style of the Euboean Curetes, who, according to the Euboean historian Archemachus, let their hair grow long at the back but cut it short in front to avoid being dragged down in battles for the Lelantine plain (Strabo 10.3.6). The same hairstyle is also ascribed by Plutarch to the Abantes, who seem to be a multiform of the Curetes on Euboea. Most interestingly, Plutarch connects Theseus’ hairstyle to that of the Abantes. He narrates that Theseus went to Delphi to make a coming-of-age offering of his hair to Apollo. He cut his hair only in the front—“just as Homer said Abantes did, and this kind of haircut was called Theseïs after him” (ὥσπερ Ὅμηρος ἔφη τοὺς Ἄβαντας· καὶ τοῦτο τῆς κουρᾶς τὸ γένος Θησηὶς ὠνομάσθη δι’ ἐκεῖνον). The Abantes, Plutarch continues, were the first to cut their hair in that way so that the enemy would not take hold of their hair in close combat (Theseus 5). Thus, the hairstyle that had been the hallmark of the mythical proto-Euboeans, the Curetes and the Abantes, became at some point associated with Theseus, and the connection is apparently being forged already on the pediment of the Eretrian temple of Apollo Daphnephoros. I submit that both the four-horse chariots and Theseus’ Abantic hairstyle on the West pediment are gestures intended to appropriate the features that earlier were linked with the Eretrian hippeis. §3. We know that in 499 BCE the Eretrians, along with the Athenians, sent military aid to Miletus during the Ionian revolt. Herodotus notes, pointedly, that the Eretrians did not do it for the sake of the Athenians, but for the Milesians themselves, since the Milesians once were their allies in the war against Chalcis, when the Samians were helping the Chalcidians (Herodotus 5.99). I propose that Herodotus here transmits a precious piece of ancient propaganda, which creatively obfuscated the grounds of the Eretrian assistance. As we have seen, at the end of the sixth century Eretria appeared to be on very friendly terms with Athens, which had recently crushed the Chalcidian elites. The version of events recorded by Herodotus takes the focus away from Eretria’s “partisan,” pro-democratic, bond with Athens, and motivates Eretrian military involvement by making a connection to the ancient struggle between Eretria and Chalcis. Such a reinterpretation of the ritual conflict, as real historical confrontation, finds parallels in several other city-states, when new political regimes reworked Archaic aristocratic traditions to their advantage. §4. According to my model, the ritual battles took place under a condition of peace between the “opposing” sides. Thus, the Eretrian hippeis and the Chalcidian hippobotai were actually political allies, rather than opponents. The hippeis may have been as antagonistic toward Athens as were the hippobotai, but unlike the hippobotai, they apparently did not determine the course of the events in their city—neither in 506 nor in 499 BCE. They are invisible in the historical record during that period, but perhaps we can still detect their shadowy presence. That is to say, we know about the existence of an elite group of Eretrians who preferred the Persians to the Athenians in 490 BCE, and while that group is never explicitly connected to the hippeis, it is likely to include them. §5. The information comes from Herodotus’ description of Persian retaliation against the Eretrians. After learning about the imminent Persian attack, the Eretrians asked the Athenians for help, and the Athenians procured for their defense four thousand cleruchs that had been settled on the lands of the Chalcidian hippobotai. However, the Eretrians were divided: some wanted to flee from the city, and others plotted to give Eretria up to the Persians. When one of the foremost men of Eretria, Aeschines son of Nothon, found out about these two plans, he warned the cleruchs and advised them to return to Athens, which they did. The Persians besieged Eretria for six days; on the seventh day, two Eretrian aristocrats, Euphorbus and Philagrus, betrayed the city to the Persians, who plundered it, burned the temples, and deported the enslaved inhabitants to Persia (Herodotus 6.100–101). §6. It has been proposed that Aeschines must have belonged to the same oligarchic plot as Euphorbus and Philagrus: probably, the ulterior motive of Aeschines’ advice to the Athenians was to preclude the defense of Eretria by the Athenian cleruchs when the Eretrian conspirators would surrender the city to the Persians. Thus, we find a group of prominent Eretrians who are perfectly content to see the Chalcidian hippobotai regain their land after the Athenian cleruchs leave, and who are at the same time so alienated from the pro-Athenian section of the Eretrian population that they are ready to allow their compatriots to be enslaved by the Persians. §7. However, this investigation of the political affiliations of the Eretrian hippeis risks leading me too far away from the chariots on the Lelantine plain. In the next section I introduce the last quadriga of this paper. Bershadsky, Natasha. 2013. Pushing the Boundaries of Myth: Transformations of Ancient Border Wars in Archaic and Classical Greece. PhD diss., University of Chicago. ———. 2018, forthcoming. “Impossible Memories of the Lelantine War.” Mètis. Knoepfler, Denis. 1985. “Les Cinq-Cents à Érétrie.” Revue des Études Grecques 98:243–259. ———. 2010. La patrie de Narcisse. Paris. Nagy, Gregory. 2013. The Ancient Greek Hero in 24 Hours. Cambridge, MA. 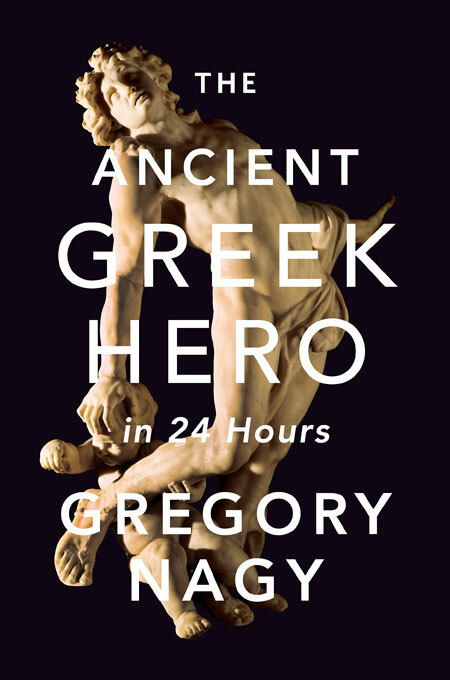 http://nrs.harvard.edu/urn-3:hul.ebook:CHS_NagyG.The_Ancient_Greek_Hero_in_24_Hours.2013. Schultz, Peter. 2007. 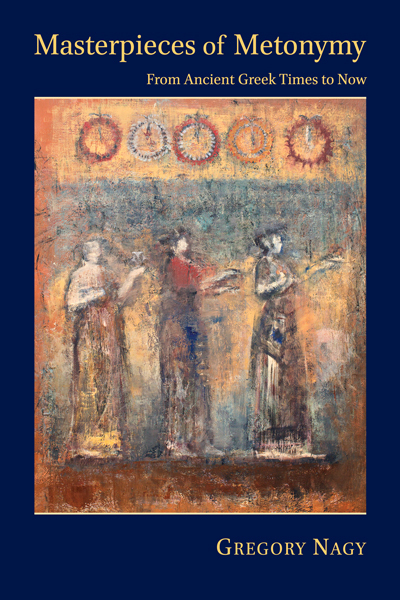 “The Iconography of the Athenian Apobates Race: Origins, Meanings, Transformations.” In The Panathenaic Games,ed. Olga Palagiaand Alkestis Choremi-Spetsieri, 59–72. Oxford. Servadei, Cristina. 2005. La figura di Theseus nella ceramica Attica: Iconografia e iconologia del mito nell’Atene arcaica e classica. Bologna. Shapiro, H. A. 1991.“Theseus: Aspects of the Hero in Archaic Greece.” In New Perspectives in Early Greek Art, ed.Diana Buitron-Oliver, 123–139. Hanover, NH. Τουλούπα, Έβη. 2002. Τα εναέτια γλυπτά του ναού του Απόλλωνος Δαφνηφόρου στην Ερέτρια. Athens. Tyrrell, William B., and Frieda S. Brown. 1991. Athenian Myths and Institutions. New York. Walker, Keith G. 2004. Archaic Eretria: A Political and Social History from the Earliest Times to 490 BC. London. In Athenian vase painting, the motif of Theseus’ abduction of Antiope is present chiefly between 520 and 490 BCE. Shapiro 1991:132; Servadei 2005:153. Interestingly, three vases with the abduction of Antiope include a hoplite running in the background, behind Theseus’ quadriga (an amphora in Munich, Antikensammlungen 1414, LIMC Antiope II 4; a hydria in New York, Metropolitan Museum of Art 12.198.3, LIMC Antiope II 6; a fragment in Oxford, Ashmolean Museum 1966.471, LIMC Antiope II 13; Servadei 2005:155). This figure (labelled as Peirithous in the case of the hydria in New York) resembles Achilles as a running apobatēs on vases analyzed by Nagy 2013:191–198, 7§55–69, as well as the depictions of apobatai collected in Schultz 2007. Proposed (tentatively) by Shapiro 1991:134–135; Tyrrell and Brown 1991:166; Τουλούπα 2002:89–91. Eretria may have assisted Athens in their confrontation with Chalcis. Walker 2004:259–260; Τουλούπα 2002:90. Knoepfler 1985:256; Knoepfler 2010:113–115; see also Walker 2004:236–269. Plutarch refers to the Homeric characterization of the Abantes as ὄπιθεν κομόωντες “wearing their hair long in the back” (Iliad 2.542). 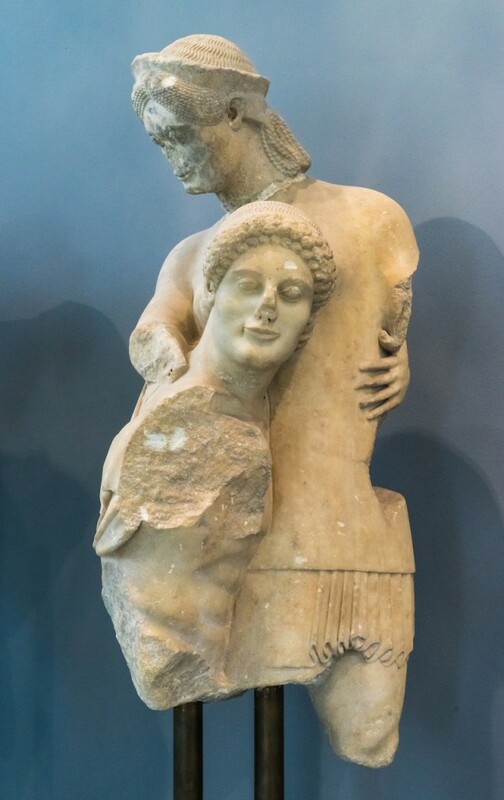 Acquiring the Curetic hairstyle was probably a coming-of-age ritual for the young hippeis and hippobotai, associated with their participation in a ritual battle. Bershadsky 2013:127–131; Bershadsky 2018. See Bershadsky 2013:251–295, 393–394, 398–399.